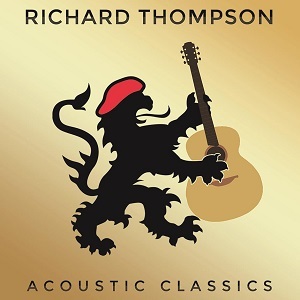 Following the release of last year's album "Electric", this year Richard Thompson has decided to go for something very different - an acoustic album. After having a number of guests on his last album, this time it's just him, so it really is very different to the last album. The songs on this album aren't new songs, instead he's taken songs from throughout his career to re-record as acoustic versions. It's always slightly strange at first hearing a song that you like being re-done differently, either by a different band, or just being done acoustically. Sometimes the new version works really well, but sometimes you can't get rid of that nagging feeling that it's just not as good as the original version. Happily with this album I've not had that doubt once - all these acoustic versions work really well and are just as good as the original versions. It might take some people a while to get used to the acoustic versions but I'm sure these versions won't disappoint. My favourite track on the album has to be "Dimming of the day" which is simply superb, and could have been written as an acoustic.